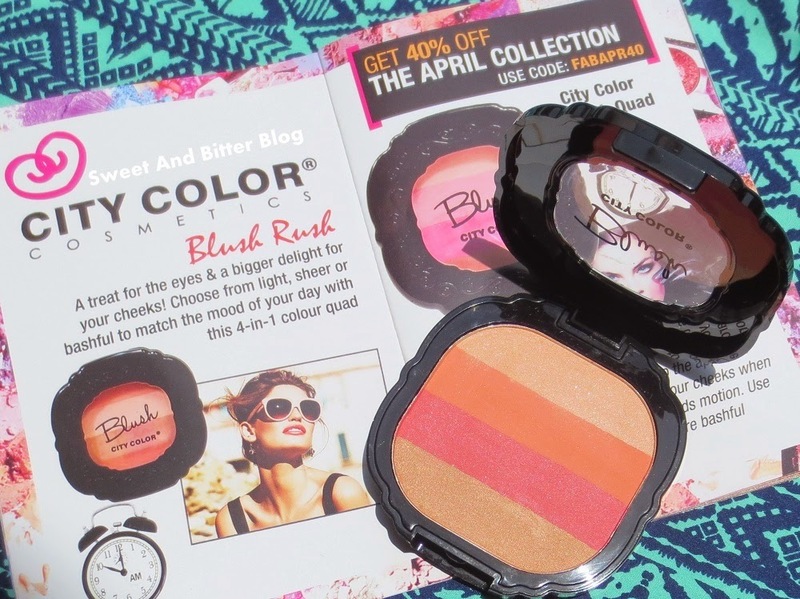 City Color Blush in Coral - Love this blush. Happy to see a full size product. Also, the packaging kind of remind me of NYX. I always wanted to use a multi-color blush like this. This is also available in Pink. I got the Coral one which suits my skin tone. The blush is sheer and with subtle glitters, looks glowy and summery. Priced at Rs 500 but you can get 40% off on this when you use code FABAPR40. 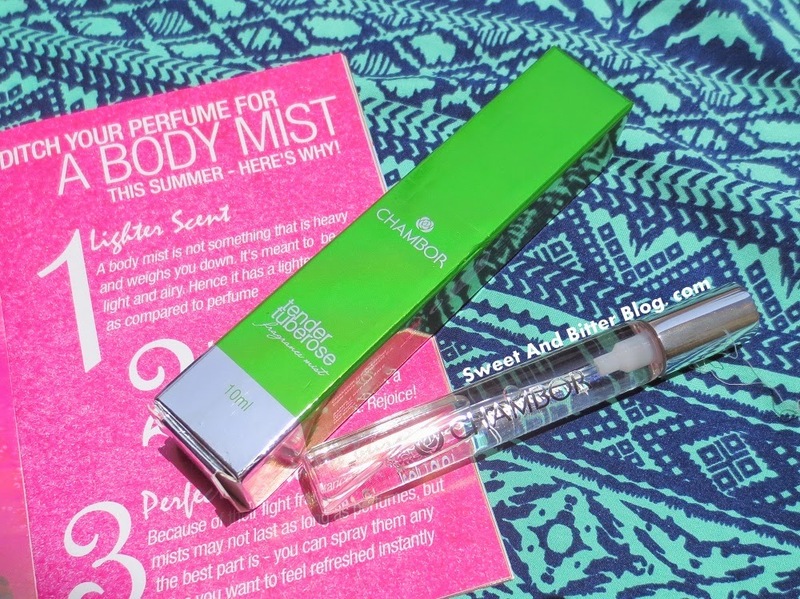 Chambor Tender Tuberose Fragrance Mist - They send a 10 ml size which will surely last me for days. The perfume started with a fresh lime citrus note, then it turns to a orange blossom smell and then settles slowly into floral tuberose. I am keeping it in my bag now and I might repurchase it. Actaully, I have seen it at stores but never got tempted to try because of its simple packaging. Cannot thank FabBag enough for introducing me to this. 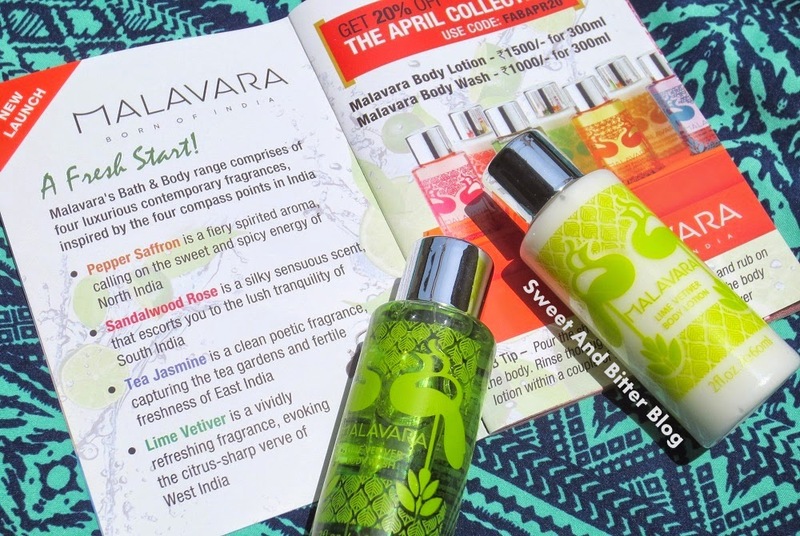 Malavara Lime Vertiver Body Wash and Body Lotion - This is a new brand introduced in April's FabBag. The bottles are of 60ml size which is good to around 2 week's use. This smells like lime. Malavara bath and body products are also available in Pepper Saffron, Sandalwood Rose and Tea Jasmine variants. 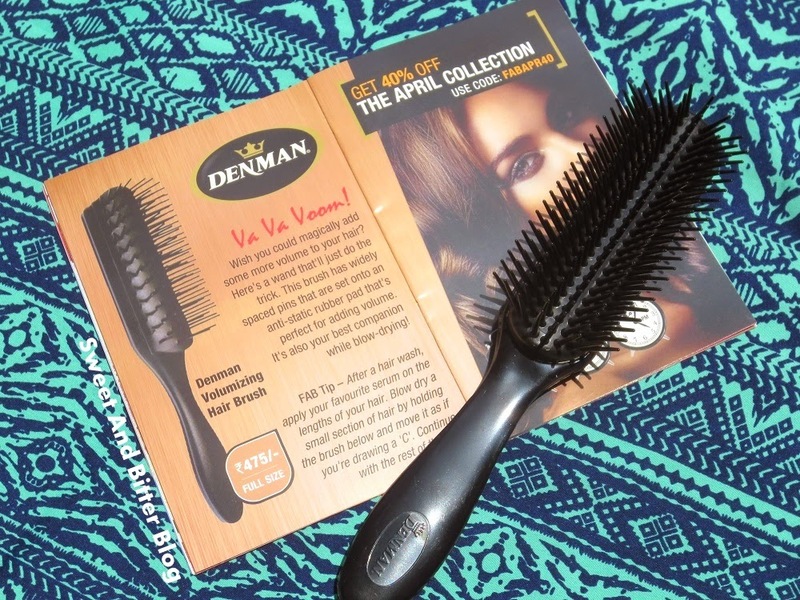 Denman Volumnizing Hair Brush - A padded brush with rounded tips which is not harsh on the scalp. Overall - I like the FabBag April box. I loved the blush and the fragrance mist. Both of them won my heart and covers the price of the box. Glad that I go introduced to the lovely body mist. Is it not real reason to get Beauty Box? Discover and try new products? Also, the Body Lotion and Shower Gel from Malavara is a nice addition. FabBag is priced at Rs 599 - all the products collectively are priced way more than the box so, it is a good deal. 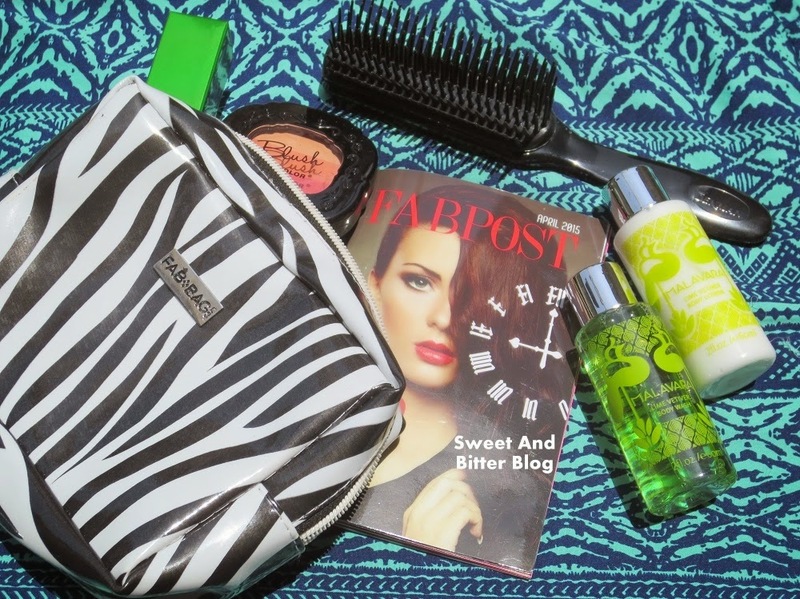 This April, the FabBag beauty box had products suitable for summer - fresh and citrus. 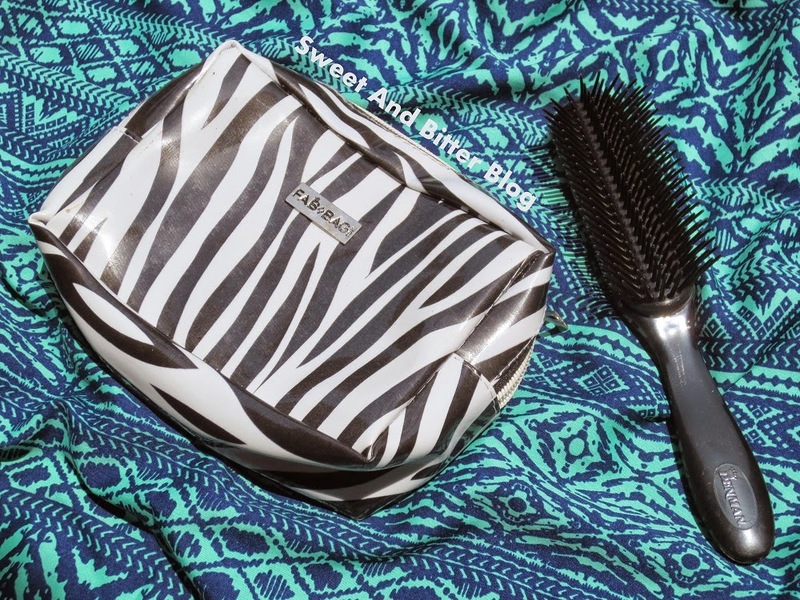 I also liked April's zebra pouch more than the FabBag March Box.